Two of the most important employment-generating sectors in Malta are tourism and digital gaming, for which foreign language skills are an integral and indispensable component in the provision of a high standard of service. Being able to communicate in more than two languages is an asset in today’s world. In the 21st century, foreign language competence and proficiency and intercultural understanding are no longer considered as optional but have become an essential part of being a citizen. In any society and within a global economy, an increasingly important characteristic is the ability to understand and communicate in other languages. Such a characteristic not only contributes to the cultural and linguistic richness of our society but increases personal fulfilment and promotes global citizenship. An important sub-objective of the Lisbon Strategy states that there is a need to improve foreign language teaching at all levels of education throughout Europe. This is seen to be a key means of giving expression to the multilingual nature of the European Union. It is an undisputed fact that countries in the world have, over the past two decades, become more and more interdependent, and new technologies have erased many existing borders. Consequently, this has led to a situation where foreign language instruction has become more necessary than ever for linking with the rest of the world and for producing an enlightened citizenship able to function in today’s ever-shrinking world. Today there is an ever-increasing need for good communication skills in foreign languages. All parents strive to ensure that their children achieve a good command in a number of foreign languages and consequently, a large number of opportunities to learn languages have been provided in many different ways. This in turn has brought about new efforts aimed at improving foreign language education in various countries across the world. Several of these countries introduced well-articulated curriculum frameworks that motivate and guide the development of an effective system of foreign language education even at post-secondary and at tertiary level. Malta is no exception. Unfortunately, at post-secondary and tertiary level, there exists a language deficit in the teaching of foreign languages when it comes to key vocational and academic areas. In view of the fact that Malta’s economy is dependent on human resources and foreign trade there is a great need to broaden the range of students taking languages at different levels. Furthermore the two most important employment-generating sectors on these islands are tourism and digital gaming, for which foreign language skills are an integral and indispensable component in the provision of a high standard of service. In the tourism industry, many researchers and educators highlight the link between excellence in tourism services and excellence in language skills. 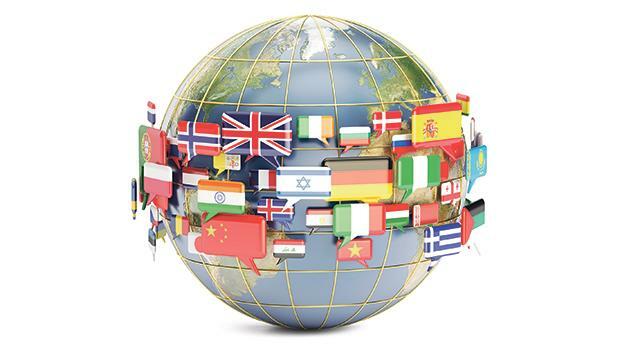 Several research studies also show that a variety of languages are required on international markets and that the most quoted barrier to intra-European mobility remains the lack of foreign language skills. It is no surprise that language skills are considered by employers as one of the 10 most important skills for future graduates. This was confirmed by a recent Eurobarometer study where 40 per cent of recruiters in the industry sector highlighted the importance of language skills for future higher education graduates. And yet, unfortunately in Malta, we have reached a point where even those who achieve a SEC certification in one or more foreign languages at the end of compulsory schooling do not necessarily find opportunities to further improve their language competences given that their field of specialisation at post-secondary and tertiary level often does not provide the opportunity to do so. The first step to address this situation in post-compulsory education has been the introduction on a voluntary basis, as from last January, of foreign language proficiency courses to students following full-time and/or part-time courses at the Malta College for Arts, Science and Technology (Mcast). These courses give the students the opportunity to acquire fluency in one or more foreign languages while studying to obtain their Mcast certificate. This brings us to another very pertinent question. Do we need modern language graduates and/or employees in a globalised world? Or better, do we need graduates and employees who are also proficient in one or more foreign languages? Apart from the huge benefits of foreign language learning, like the acquisition of vital cognitive skills and intercultural awareness, graduates and employees with high levels of language competence find it much easier to engage effectively with the rest of the world, giving them a cutting edge over their colleagues and/or competitors when it comes to research collaborations, trade, diplomacy, and so forth. If we really believe in this, we need to move away from a ‘one size fits all’ system at post-secondary institutions. At present, the only option for students who would like to further their studies at post-secondary in any particular foreign language is to opt either for an A-level course or for an Intermediate course as part of the Matsec certificate, with a lot of emphasis being on grammatical accuracy, literature and culture rather than proficiency in the target language. Although the value of literature is undisputed and should be promoted for the cultural benefit of students, young people who would like to improve their proficiency in basic foreign language skills – namely listening, speaking, reading and writing – in view of future job prospects and/or requirements, feel frustrated at the fact that to date there exists no such language proficiency courses at post-secondary level. Such students might not be interested in studying literature but would like to further their linguistic competencies and proficiency to a Malta Qualifications Framework (MQF) level 3 or 4. In view of this, the Ministry for Education has, over the past four or five years, been working on the possibility of offering an alternative way of obtaining certification in foreign languages apart from Matsec and is now in a position to introduce foreign language proficiency courses at MQF levels 3 and 4 that will focus on communicative competence and which will offer accredited certification in each of the four basic language skills separately. These courses, to be offered as from October 2018 at Level 3, and from 2019 at Level 4, will be available at Giovanni Curmi Higher Secondary School in Naxxar, Sir M.A. Refalo Sixth Form in Victoria and at the Lifelong Learning Centres around the Maltese islands. Given the fast rate at which the labour market is changing and the way employment scenarios change within a very short period of time, and given that our students are usually asked to choose their subject options when they are still 13 years old, provisions are being taken for those students or employees who, during their years at a post-secondary institution or in employment, would like to improve their proficiency in a foreign language to MQF levels 3 or 4. Such a provision will surely benefit not only the large number of students who only decide to opt for a particular course at University after the end of compulsory schooling but also anyone willing to upskill his or her foreign language proficiency skills for employment or promotion purposes. Dr Mario Pace is a senior lecturer of Italian at the University of Malta’s Department of Humanities and Languages and is an expert in foreign language teaching and learning. He is coordinator of the Subject Proficiency Assessment (SPA) programme for foreign languages in secondary schools, and of the new foreign language proficiency courses being offered at post-secondary level.